Join a growing movement to help kids in Africa by linking up your party with the World AIDS Day campaign. NextAid invites you to be a part of a growing network of dance music industry leaders who are responding the AIDS orphan pandemic, which has left over 15 million children in its wake. 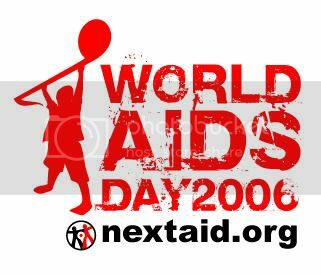 December 1st is World AIDS Day and you can make a difference by joining forces with NextAid. As a promoter, artist, or venue, you have a unique opportunity to bring people together for a purpose. By incorporating NextAid’s mission into an already planned event [Dec 1-8] and making it part of this campaign by donating a % of the proceeds, you will transform the event from just a party into an important statement of hope. Last year, our first year, NextAid connected 14 events in 6 cities. This year, we hope to double our numbers to make a bigger difference in the lives of children unjustly suffering due to AIDS in Africa. We will support you by including your event in a beautiful HTML email and inclusion in online newsletters that will be sent out by our promotional partners, such as Wantickets, flavorpill, Fusicology and others, as well as inclusion in the press release.